When the hook-happy Philly band Cordalene split up a while back, its members drifted inevitably toward other musical pursuits. Bassist Jeff Anderson stepped up his rock-PR career in New York, singer/guitarist Michael Kiley embraced piano-led pop with his gorgeous project the Mural and the Mint and guitarist Jamie Olson and drummer Joe Boyle stuck together for a new chapter called Mistakenly called a jam band at least once already, the Singers are actually an especially relaxed country group taking equal inspiration from Buffalo Springfield and, yes, early Grateful Dead. 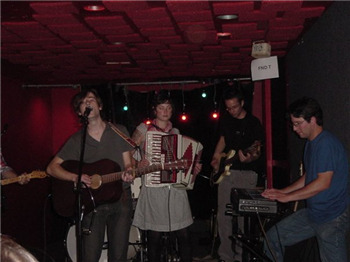 The boys are best summed up by a song from their new self-titled record: “That Old Time Living Room Sound.” Olson truly sings and leads the band as if a baby were asleep in the next room, and the others—Boyle, bassist Tim Meachem, guitarist Todd Zamostien and keyboardist Mike Milach—follow suit without a hint of stress. "This young philly band knows the secret to straddling the classic/jam/indie divide: It's gotta be catchy, like sing-along-everybody-now-c'mon catchy. 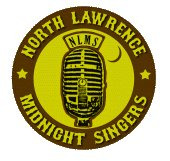 Peppy beats, twangy guitars and Jamie Olson's moonshine vocals help North Lawrence Midnight Singers hit you the same place the Wilburys or the Connells used to. " 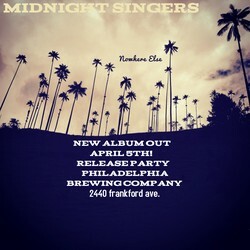 "On their song "All Day All Night," Philly fivesome North Lawrence Midnight Singers call to mind the Replacements when they went down to Memphis to record with Jim Dickinson: Whiskey–and–cigarette–shaped vocals from a punk heart merging with rockabilly backbeats, country guitar twang and a potent dose of classic R&B soul. The ghosts of Sun Studios live in several of NLMS’ other tunes, and when they say they’re fond of ”all the cats who made up the Traveling Wilburys,” they’re not kidding, though they certainly handle those collective influences with care." "Shambling country-Folk Goodness Culled from the Oldest of Schools"
North Lawrence Midnight Singers......and That Old Time Living Room Sound. We were born just before Midnight, into Einstein’s chaotic jumble of time and space, where a lifetime lasts the course of one long day. Fortunate were we to spend many, many glorious times around the greatest of hours, the worries of the world slipped out of mind and people with good hearts shared their spirits and practiced the language of imagination and revelry. But, more importantly, it was the music that brought us all together and it was the music that allowed our bodies to loosen up and freed us to dance. These were the kind of celebratory times that all who share are thankful for their good fortune, knowing that not all of God’s creatures get to experience a time where their mind is set so free to dream, so much so that it can inspire them for a lifetime. But the Singers, given no exception to the unwavering hands of time, stealing away minutes, and often hours, can’t help to think back with a little sadness and longing, for that time of night where we permitted ourselves to let go of it all and be lost in a song. And in our thoughts, we wonder about the next Midnight on the very distant horizon. 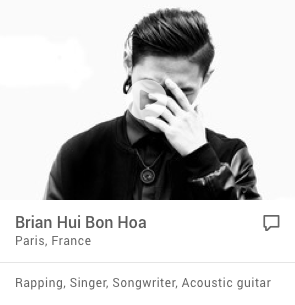 In the meantime, we’ll still sing, under the Sun or the Moon! Make No Mistake! NLMS are simply here to help our Friends, Neighbors, Brothers and Sisters…and those beyond, get loose on Saturday Night, leave their worries at the door, and Dance! Dance! Dance! It’s called Rock n’ Roll, people! We play 30-minute opening sets or hour and a half rock n' roll shows, mostly originals with some Elvis, Ricky Nelson, Roy Orbison cover tunes mixed in...or acoustic shows and we can play all night!